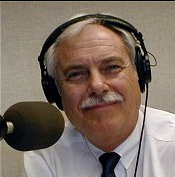 Chuck Finney was the founding host of Your Legal Rights and was a familiar voice for KALW for more than 30 years. Chuck was an attorney for more than 40 years, including a long career with the San Mateo County District Attorney's Office as a Deputy District Attorney in the Consumer & Environmental Protection Unit. Chuck always said that his greatest supporter in public radio was his wife Joanne Roney Carpenter. You can hear the on-air tribute to Chuck broadcast shortly after his passing in February 2018 here. Lawyer Referral Services -- the value to consumers of Lawyer Referral Services offered by County Bar Associations throughout California. Guests are Representatives of the San Mateo County Bar Association, the Bar Association of San Francisco, and the Alameda County Bar Association. Questions for Chuck and his guests? Please call toll-free 866-798-8255. Family Law Valentine's Day Program -- Using Mediation to Resolve Marital Disputes. Guests: Family Law Specialists Certified by the California Board of Legal Specialization: Janet Frankel and B J Fadem. Questions for Chuck's guests? Please call toll-free 866-798-8255. Data privacy, protection, insurance, hacking, and security. Guest: Tad Devlin -- a business attorney whose practice includes litigation, insurance disputes, sharing economy, and cyber identity theft. Questions for Chuck and Tad? Please call toll-free 866-798-8255. Criminal Law -- False Confessions of Persons Charged with Crimes. Guests: Peter Goldscheider, the President of the San Mateo County Bar Association (SMCBA), and a Certified Specialist in Criminal Law; Jeff Hayden, a former President of the SMCBA, a former Chair of the California Board of Legal Specialization, and a Certified Specialist in Criminal Law; and Steve Wagstaffe, the District Attorney of San Mateo County. Questions for Chuck's guests? Please call toll-free 866-798-8255. New Laws for the Workplace. Guests: Thomas Lenz, the Chair, and Scott Stillman, a Member, of the Executive Committee of the Labor & Employment Law Section of the California Lawyers Association. Questions for Chuck's on-air guests? Please call toll-free 866-798-8255. Also, this evening is our once-a-month Call-A-Lawyer Night. So, while Your Legal Rights broadcasts 7 'til 8pm PST, 91.7 FM (online kalw.org), attorneys are available off-the-air as well: 800-525-9917, for private no-fee consultation on a variety of legal questions. The New Federal Tax Law -- Pay More or Less? The New Federal Tax Law - Will Most of Us Pay More or Less in Federal Taxes for 2018? Guest: David Hellman, a Specialist in Federal Tax Law and also in Estate Planning, Trust and Probate Law, Certified by the California Board of Legal Specialization. Questions for David Hellman? Please call toll-free 866-798-8255. A Discussion of Legal Help for Survivors of the Southern California Wildfires. Guests: Members of the Bay Area Resilience Collaborative (BARC) who are cooperating with Southern California providers of Legal Help for Survivors. Questions for Chuck's guests? Please call toll-free 866-798-8255. Undue Influence and Elder Financial Abuse -- What it is, How to Identify It, & What to do if Undue Influence and Financial Abuse are Suspected. Guest: Michael Hackard, the founder of Hackard Law, a California law firm that focuses on estates and trusts litigation. Mr. Hackard is a Member of the Trusts & Estates Section of the State Bar of California. Questions for Chuck and Michael? Please call toll-free 866-798-8255. Employment Law -- Age Discrimination in the Hiring of Employees. Guests: Employee attorney Dan Kohrman, a Senior Attorney at the AARP Foundation in Washington, D.C.; and Management attorney Philip Ikenna Person, an Attorney with Greenberg Taurig, an international law firm. Questions for Chuck's guests? Please call toll-free 866-798-8255. Also, this evening is our once-a-month Call-A-Lawyer Night. Bankruptcy Law -- Debtors Do Have Legal Rights. Guest: Leon Bayer, a Specialist in Bankruptcy Law, Certified by the California Board of Legal Specialization. Questions for Leon? Please call toll-free 866-798-8255. Family Law -- Divorced/Divorcing Parents of Young Children Working Together to Make the Holidays Happy for Their Children. Guests: Family Law attorneys -- B J Fadem, a Certified Specialist in Family Law; Mary Feldman, a Certified Specialist in Juvenile Law (Child Welfare); Sharon Roper, the Court Mediator for the Santa Clara County Superior Court; and Valerie Houghton, Family Law attorney and Marriage & Family Therapist. Questions for Chuck's guests? Please call toll-free 866-798-8255. Immigration Law -- Update on the legal representation of undocumented immigrants. Guests: Immigration Law attorneys -- Valerie Zukin, Hamid Yasdan Panah, Sara Izadpanah, & Zachary Nightingale, a Certified Specialist in Immigration Law. Questions for Chuck's guests? Please call toll-free 866-798-8255. Landlord/Tenant Laws-Disputes-Issues. Guests: Landlord/Tenant attorneys -- Jessica Chylik and Sal Timpano. The Bay Area Resilience Collaborative (BARC) -- Providing Legal Help for California North Bay Wildfire Survivors. Guests: Carole Conn -- Director of Public Service Programs at the Bar Assn. of San Francisco (BASF); Tiela Chalmers -- CEO of the Alameda County Bar Assn. and the Bay Area Resilience Collaborative; Gloria Chun -- Director of the Pro Bono Legal Services program at the Justice & Diversity Center of the BASF; and Dan Wade -- insurance attorney, and Vice Director of the American Bar Association Young Lawyers Division Disaster Legal Services Program. Year End Tax Tips for Income Tax Returns for 2017. Guests: David Hellman, a Certified Specialist in Federal Taxation Law, Real Estate attorney, CPA; and Frank Adam, Tax attorney, Real Estate attorney, CPA. Questions for David & Frank? Please call toll-free 866-798-8255. Employment Law -- the Issues/Pluses and Minuses of Being an Employee versus an Independent Contractor. Guests: Employment Law attorneys Heather Irwin & Michael Flynn. Questions for Heather & Michael? Please call toll-free 866-798-8255. The California Bureau of Automotive Repair (BAR) -- Its Mission to Protect Consumers & Ensure a Fair & Competitive Automotive Repair Marketplace & a Motor Vehicle Emissions Reduction Program. Guest: Donald Johnson, BAR Program Representative & Supervisor for the Santa Clara County Office. Questions for Chuck & Donald? Please call toll-free 866-798-8255. Defending the Constitution's First Amendment: The Freedom of Speech Clause protecting free speech, both literal and symbolic -- the 70th Anniversary of the Hollywood Movie Industry's Blacklist hearings and today's professional athletes' right to kneel at the playing of the national anthem. Guests: Mike Farrell, a civil rights activist (formerly of "Mash" TV); Christopher Morales, a Certified Specialist in Criminal Law; Novella Coleman, a staff attorney with the ACLU; and Marshall Krause, a former ACLU attorney. Questions for Chuck's guests? Please call toll-free 866-798-8255. Estate Planning Taxation Issues. Guest: David Hellman, a Specialist in Estate Planning, Trust & Probate Law and a Specialist in Taxation Law, Certified in both by the California Board of Legal Specialization. Questions for David Hellman? Please call toll-free 866-798-8255. What is Medical Malpractice? What's Involved in Deciding to File a Medical Malpractice Lawsuit? Guest: Barry Nace, a Civil Trial Specialist, Certified by the National Board of Trial Advocacy, with law office in Washington, D.C. Questions for Chuck & Barry? Please call toll-free 866-798-8255. Family Law: Move-Aways -- One Parent Wants to Move Away with the Child; Custody and Visitation Issues. Guests: B J Fadem, a California Board of Legal Specialization Certified Specialist in Family Law; and Dr. Michael Kerner, a Clinical and Forensic Psychologist. Questions for Chuck's guests? Please call toll-free 866-798-8255. Family Law -- The Family Law Facilitators Office: The Family Court in each California county has a Family Law Facilitators Office to assist self-represented litigants in Dissolution of Marriage cases. Guests: Directors of several Family Law Facilitators offices who will discuss their roles and what their offices can and can't do for self-represented litigants. Questions for Chuck's guests? Please call toll-free 866-798-8255. This is also our once-a-month Call-A-Lawyer Night. The Importance of Hazards Insurance -- Crisis and Risk Management for Floods, Fires, and Other Hazards. Guest: Tad Devlin, a Business, Sharing Economy, and Real Property Attorney. Questions for Chuck and Tad? Please call toll-free 866-798-8255. Landlord/Tenant Laws, Issues, and Disputes. Guests: California Landlord/Tenant attorneys Jessica Chylik and Sal Timpano. Questions for Jessica and Sal? Please call toll-free 866-798-8255. Workers' Compensation Law -- A Further Update of Current Issues & Problems Facing Workers in California. Guests: Jason Marcus, President-Elect of the California Applicants' Attorneys Assn. (CAAA); and Robert Wyman, a Member of CAAA who will be the Guest Host for this program. Mr. Marcus and Mr. Wyman are Specialists in Workers' Compensation Law, Certified by the California Board of Legal Specialization. Questions for Jason & Robert? Please call toll-free 866-798-8255. Employment Law -- Implicit Bias in the Workplace. Guests: Allison Elgart, Legal Director at the Equal Justice Society, representing employees; Chuck Thompson, representing management; and Thomas Lenz, Vice-Chair of the Labor & Employment Law Section of the State Bar of California. Questions for Chuck's guests? Please call toll-free 866-798-8255. This is also our once-a-month Call-A-Lawyer Night. Debtors' Rights Both Before & After Filing for Bankruptcy. Guest: Leon Bayer, a Specialist in Bankruptcy Law, Certified by the California Board of Legal Specialization. Questions for Chuck & Leon? Please call toll-free 866-798-8255. Family Law -- Alternatives to Marriage. Guests: Deborah Wald, Jason Elter, and B J Fadem who are Specialists in Family Law Certified by the California Board of Legal Specialization (CBLS). Questions for Chuck's guests? Please call toll-free 866-798-8255. Estate Planning -- Prevention of Elder Financial Abuse. Guests: Certified Specialists in Estate Planning, Trust & Probate Law by the California Board of Legal Specialization: Linda Kramer, Deborah Radin & John Martin. Questions for Chuck's guests? Please call toll-free 1-866-798-8255. The Mission and Laws of the Department of Homeland Security -- the Prevention of and Responding to Terrorism and Hate Crimes, and the Responding to Natural Disasters by the Federal Emergency Management Agency (FEMA). Guests: Martin Alperen, attorney, and author of FOUNDATIONS OF HOMELAND SECURITY: LAW AND POLICY and Certified Specialists in Criminal Law -- Jeffrey Hayden, the Chair of the California Board of Legal Specialization (CBLS), and Michael Berg, a Member of the Board of the CBLS. Questions for Chuck's guests? Please call toll-free 1-866-798-8255.